After you’ve grown tired of waiting for people to call you to sell their home, you may want to try something new, something that’ll create increasing, consistent touchpoints with home sellers. Sellers, those ghostly inhabitants of your dream world. This is about creating a fat pipeline to your top selling prospects and enabling them to become sellers. There’s big reasons why people can’t get over inertia and sell their old house: dreams and details. Normally you wait for the details to take care of things such as: growing family, empty nesters, trade ups, moving to new city, house needs too much repair, and moving to the burbs. These are all tell tale signs that big data realtors are looking at to get the jump on a potential sale. The one no one talks about is people’s dreams. Goals aren’t dreams. Dreams are symbols of the emotional rewards that we all seek, and it’s why buyers are coming to you. They don’t call you because they have a goal of owning a home, instead, they’re thinking a new home will fulfill their dreams and provide a rewarding emotional life. They want to be happy. That same quest for happiness is why they sell. As the Vancouver and Toronto housing markets tighten each month, realtors compete harder for housing stock as it comes available. The variety/number of realtors selling in my town is unbelievable. There’s 50 realtors for every homeowners that wants to sell. That’s crummy odds. The waiting game: Too often, another brand or realtor gets the lucky call. I’ve got 10 tactics that can spare you the agony of waiting for sellers to get moving, and become their only realtor. Before sellers sell, they need clarity about their next move. They need a vision of the better life they desire. They’re just missing pieces of the dream and when the final piece clicks in, they get on the phone and call Remax, Sutton Group, Century21, Sothebys or Royal Lepage. I’m sure that in your training, you discovered it may be easier to reach buyers who also have a house to sell. That does seem easier since buyers are active online where you can intercept them. Intercepting them is good. However, if you adjusted your realtor brand image to be the dream maker, the one who can help restless homeowners achieve mental clarity and draw them into a positive, happy and expectant frame of mind, you’ll be top of mind when they think about moving. No One Wants to Sell: Listings in Vancouver and Toronto have dropped precipitously. Yes, I’ve gotten lots of real estate agent paper flyers in my mailbox. There’s 50 agents who could list the house for sale. None of their messaging moved me at all. Entirely forgettable. Agents need to discuss the change in lifestyle, not just selling a house. Maybe the homeowner has a new job, needs a bigger house, needs to downsize, get out of the city, wants to retire on Vancouver Island or Kelowna BC, work in the US, or settle in Phoenix or Panama. Just selling the house doesn’t make you relevant, but being a facilitator, coach, supporter, friend in their lifestyle change does make you relevant — even after the sale. If you become part of the dream, the action, and the result, how can they not pick you over those other 49 agents? Prices are pushing some to finally sell and they’re getting an extra $50k or $200k on the sale. 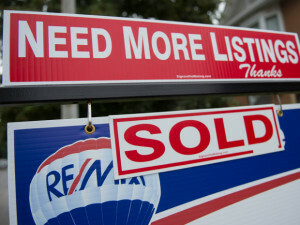 For those selling in Vancouver or Toronto, the price is just the last straw that gets them to pull the sell trigger. If they were really committed to that location, they wouldn’t leave for any price. You can’t buy happiness right? Okay, getting an extra $200k is a big nudge out the door. However, the same voice that urged them to sell because of price could also tell them to sell to go live in a more exciting location, or to travel, or just revitalize their stale, stressed lives. You could sell in Toronto and move to San Diego, Costa Rica, Kelowna, Belize, Panama, Spain, or maybe Haliburton. There’s enough land there to accommodate them all and the lifestyles are amazing. Let’s open your imagination beyond dull. What if you evolved your approach to introduce home sellers to the solution they wnat? What if your website and social content wove a particularly delightful introduction to a better lifestyle? You’ll plant the seed and then get them to return weekly to build their interest and then utilize the opportunities it creates. Realtor/Travel/Investment sites are a great combo. These sites have a full dimension of interesting, engaging lifestyle content that creates a focus for these vague, anxious feelings they endure daily. The more content you have, the more touchpoints you have with prospects, the more reason for them to interact, and more opportunity to close the deal later. Patience is needed, but the payoff should be huge. In fact, there’s no reason why you won’t get responses soon. 10 Tactics to Connect with Homeowners and Get them to Sell! Knock on their door and ask them if they know how much their home is worth. Ask them to do a free appraisal, and give them your business card which will beckon them to your Facebook page. Why Facebook? Because Facebook is more personal, connected, and interactive — they use Facebook more frequently. Give prospects/homeowners a flyer that has a travel/lifestyles theme. This is more interesting and relevant. The flyer will have the URL of your lifestyles section where they will begin clarifying their need to move on with their lives. The content will take them from merely travelling to actually moving to be immersed in the new lifestyle at their dream location (Try to be sure about their dream destinations. I dream about San Diego, but they may not). 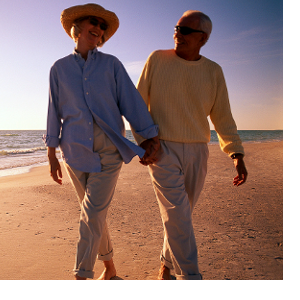 Build a lifestyles section in your Website and fuse it with Linkedin, Facebook, and Twitter. See these 4 sites as one interconnected Web magazine. Build sections on each dream destination and have a writer fill it with excellent content about homes, activities, health, food, and happiness. Create a new realtor brand image for this website/social pages above. This image is somewhere between a stiff collared professional realtor and cruiseship social coordinator. The content must be entertaining, informative, and create a need to react, such as asking questions and getting direction to more specific content elsewhere. The whole point is to create a touchpoint with your new customer, to begin the conversation, one they believe is leading to something fantastic. Get that lawn sign up. Do door to door and tell people you’ll give them a fantastic bonus for listing their home — if you sell it. A free ecotour adventure trip to Costa Rica is one example of a rare enticing benefit they’ll find hard to resist. They’ll get the full details on your Facebook page, which is why they’ll share it with their FB network. Getting a lawn sign up on a street is gold. Do what you have to to get one. Build a travel section on your website. Travel and moving are indirectly related. Just the word travel is both soothing and agitating for restless homeowners. Talk about places like Florida, California, Australia, Costa Rica and other places where there’s plenty of ex pats. If they know there are plenty of Canadians or Americans already there, it takes a lot of anxiety about those locations (even if it’s Victoria BC, or Kelowna BC). If they get hooked on moving to Kelowna or Costa Rica, it may addictive for them. I have friends who moved from Calgary to the Okanagan to retire. They had no idea they would end up in that area, but most Calgary people like the Okanagan. It’s the same anywhere. San Diegans love Hawaii and Mexico. Build a sports section on your website. You can cover any type of sports, but mostly those your prospects are into, but a sport that will take them away from where they are. Your goal isn’t to cover sports to make them feel better about staying in their community and learning to love it again. Cover golf in Arizona and Texas, or fishing off the California coast, or hiking in Costa Rica. Anywhere but here. Build a big renovation to sell section on your Website. The focus is all the things you can do to upgrade their house and get it sold for maximum price. It’s just one more topic that gives them the confidence that their vague dream is doable. Read up on others tip’s and ideas on how to get people to sell their house https://www.google.ca/#q=how+to+get+people+to+sell+their+house. the more you know, the more psychologically effective you’ll be in shaping your brand image and your web content and inbound marketing efforts. Hire a really good content and SEO guy to get all your content ranking high on Google and visible via social platforms. Right now, you have no touchpoints with your prospects. Hiring an expert gives you first class access to these people online. There’s nothing better than top rankings on Google’s search results. 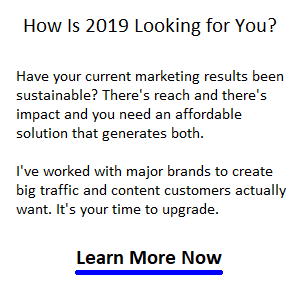 An SEO pro will get your posts placed on top travel, retirement, and lifestyle sites and connect you with 10 million mommy bloggers! There’s your top 10 tactics. Sounds like a big project but once you get going on it, it’ll get easier and you’ll get better. If you’ve got some funds, you could outsource all the above to someone like me. That is excellent overall value. And remember, that I can help you rank for phrases such as “homes for sale Vancouver” ‘condos for sale Toronto, or “luxury homes San Diego, etc. There’s more value than you can imagine with SEO and social outreach. Work less on sales, and more on being a dream maker — the type of prospecting that attracts excited, interested prospects and creates endless touchpoints with them. Your digital marketing content strategy should revolve around helping them find their dream life. With this material backing up your personal face-to-face meetings, you create a picture of integrity, that you really believe in what’s best for them. You’re not just a salesperson anymore, you’re now a friend who understands their greatest dreams. They’ll be calling you to find out how you can help create their new dream life. Guaranteed, they will be selling the house and you will be their realtor. Need some cheer? Just read the Toronto housing outlook and the Aurora Newmarket Forecast for 2017. Things are great.